Disk space management is one of the real challenges in organizations that are legally mandated to save phone conversation recordings. 3CX Recording Manager is a 3CX/ PBX plugin, that makes the job easy for you by enabling you to archive 3CX recordings as MP3 files to an alternate location (on a Network Attached Storage (NAS) device for example), or to an alternate email address. MP3 files require a fraction of the space needed compared to WAV files (approximately 1/7 the original size). 1.1. What is Recording Manager? 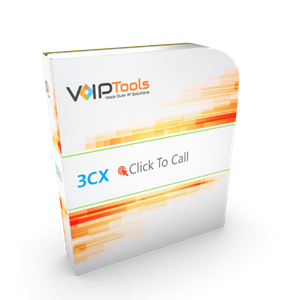 3CX Recording Manager is a 3CX/PBX plugin that allows you to easily manage (archive, compress, purge) your call recordings using simple web portal. You can record individual calls on an ad-hoc basis, record all calls made by a specific extension(s), or record all calls on the entire phone system. 1.3. How to Use Recording Manager? 3CX Recording Manager is a one-time installation process. Once you install it, the recordings can be maintained based on the Delete Policy and Archive Policy that you set at the time of installation. Before you begin with the installation steps mentioned in this guide, you need to ensure that your computer meets the minimum requirements mentioned below for installing 3CX Recording Manager. 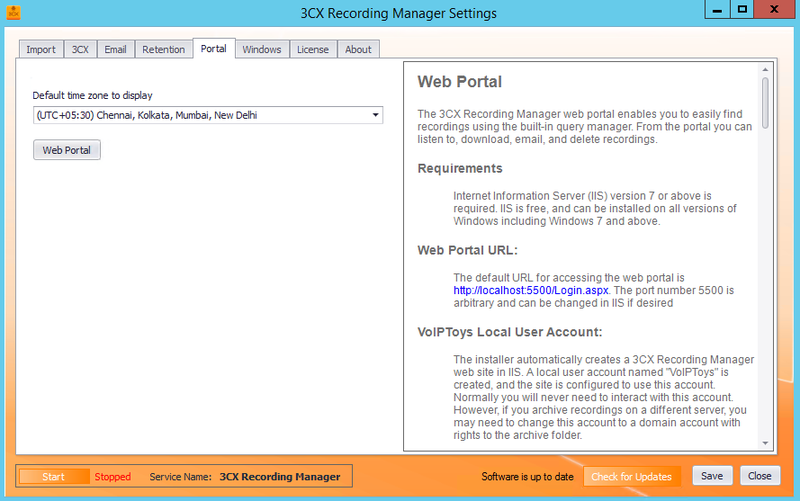 You can order 3CX Recording Manager on-line at http://www.voiptools.com. Your order confirmation email will include your license key and a link to download the software. You must register your license key to activate 3CX Recording Manager. Your license key is included in your order confirmation email, and can also be found in your order history on our website. 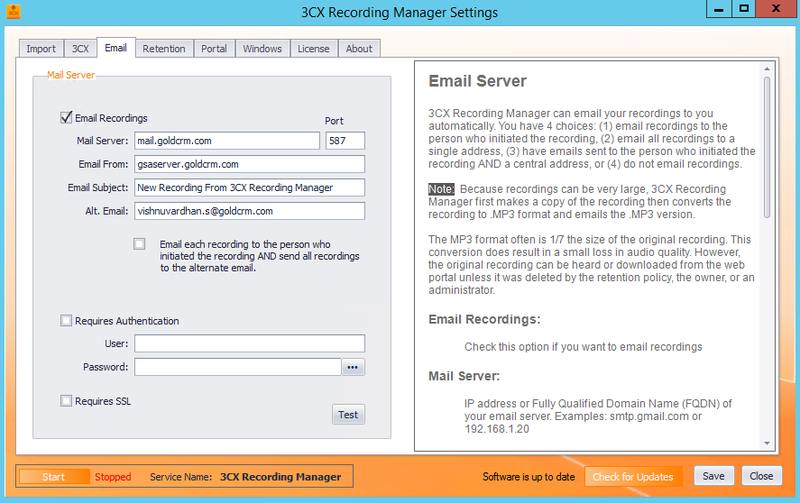 3CX Recording Manager can email your recordings to you automatically. You have 4 choices: (1) email recordings to the person who initiated the recording, (2) email all recordings to a single address, (3) have emails sent to the person who initiated the recording and a central address, or (4) do not email recordings. 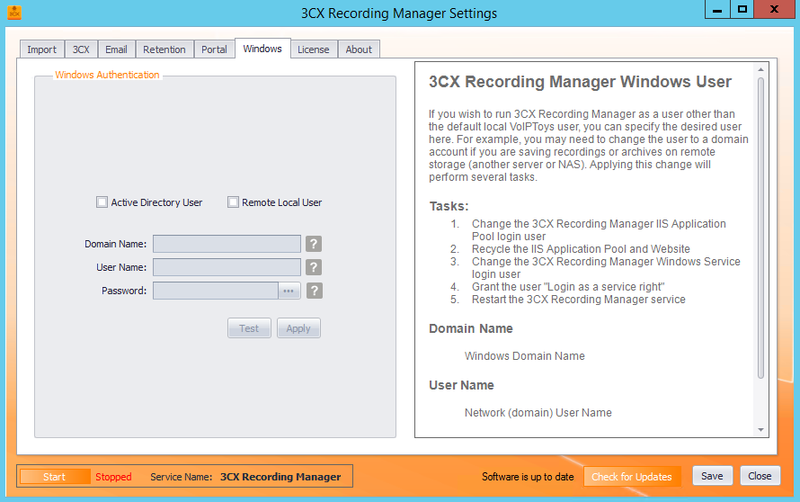 33CX Recording Manager can be configured to automatically delete old recordings, thus helping to conserve disk space. It can also automatically convert recordings to .MP3 format and save the recordings at an alternate location. You can also have recordings deleted after emailing the recording. 2. If you are installing 3CX Recording Manager directly on the 3CX server, you can install the Relay simply by clicking the Install/ Upgrade Relay button and following the Relay install instructions. 1. 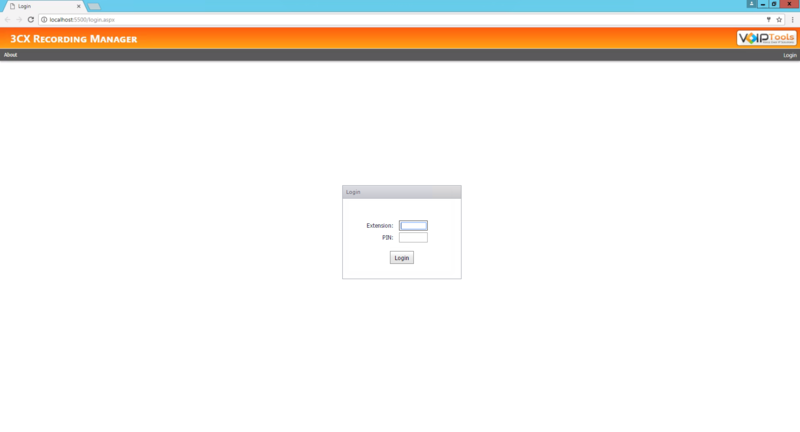 In the Relay Services Host field, enter “localhost” if installing 3CX Recording Manager on the 3CX server. If 3CX resides on a different server, enter the IP address or FQDN of the 3CX server. 3. Click Test Relay Settings to confirm 3CX Recording Manager can communicate with the Relay services running on the 3CX server. 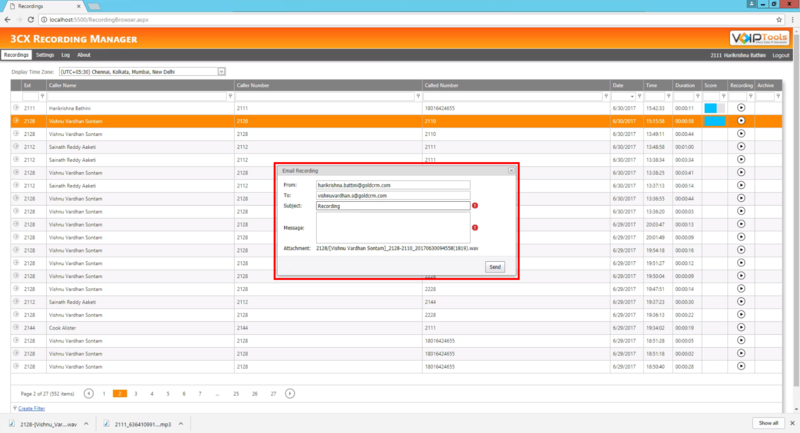 The 3CX Recording Manager Settings screen enables you to register the software, configure recording path, archive path, email server settings, time zone, import existing records, set retention policy and connect to web portal. 2. In the dialog box, you can proceed with the default Recording Path or edit by browsing through More button. 3. To archive the recordings, check Archive check box. 4. You can proceed with the default Archive path or edit by browsing through More button. 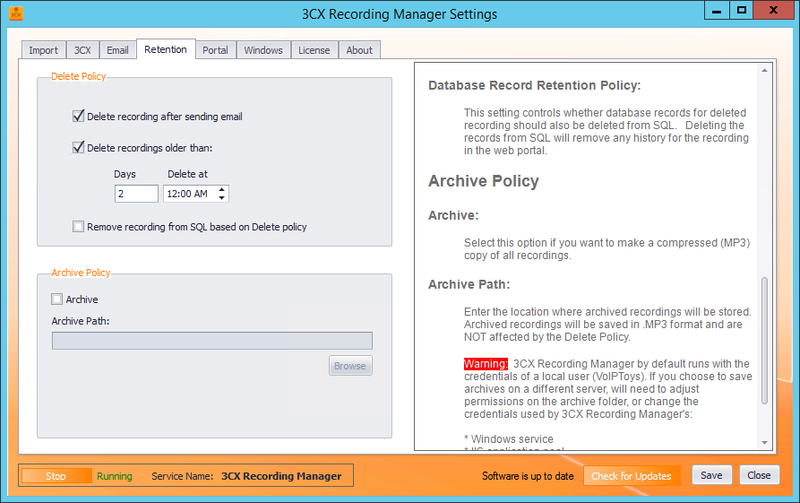 3CX Recording Manager saves recording information in Microsoft SQL Server. You can access this information using the ‘3CX Recording Manager’ web portal. You will need to utilize an existing SQL Server, or install Microsoft SQL Server 2008 (or newer). The free Express edition is usually sufficient. Once you have configured the ‘Recording’ and ‘Archive’ (optional) paths to store the recordings files, you can import and archive (if ‘Archive’ option was selected) the existing records to the portal. 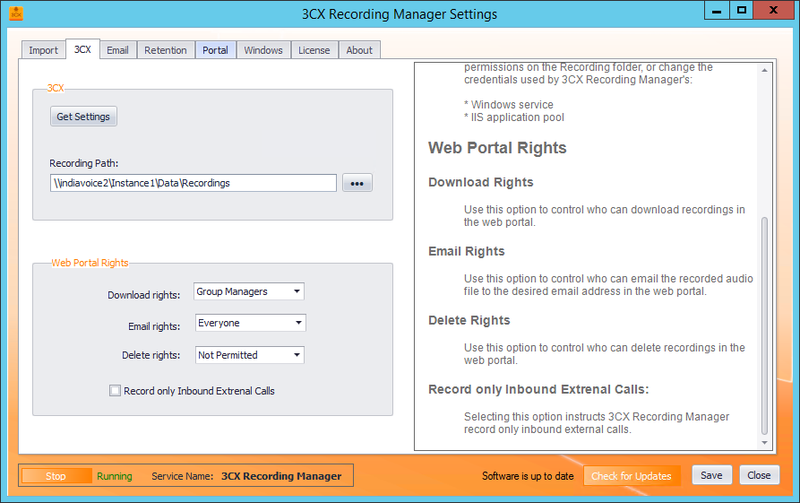 If running Recording Manager directly on the 3CX server (not recommended) and have a large number of existing recordings, you may want to wait until after business hours to select this option. Processing a large number of recordings may impact the performance of 3CX. 1. In the 3CX Recording Manager Settings configuration screen and in the Import tab, under Run stand-alone importer click Import Tool button. 2. 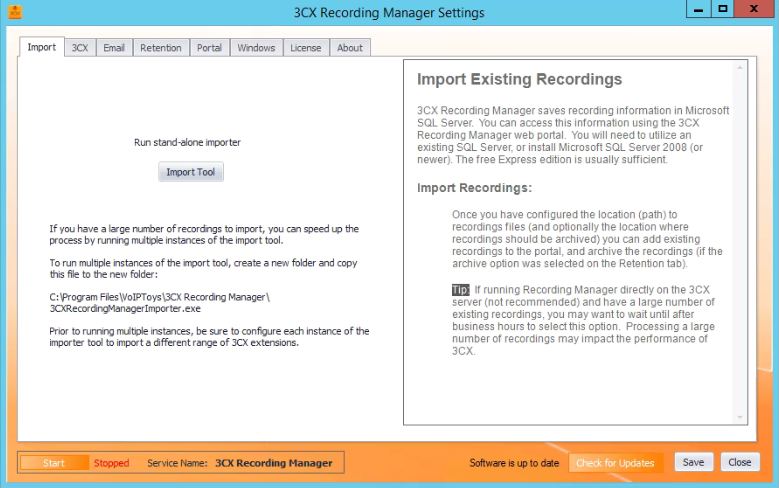 The 3CX Recording Manager Importer dialog box appears. 3. In the dialog box and in the Import Restrictions section, enter Start and End extension range that you want to import. 4. Check All Extensions or Range check box. 5. To import the files since the last import date check Import starting from last import date and select the appropriate date from the date drop down. 7. If you have a large number of recordings to import, you can speed up the process by running multiple instances of the import tool. 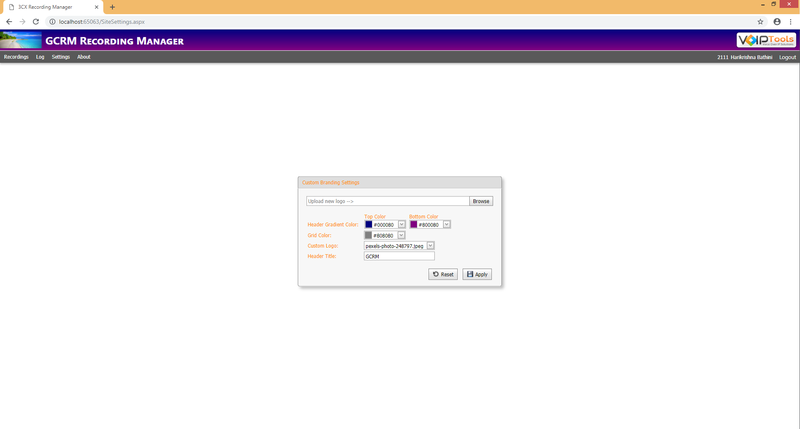 For this, click Import Tool button on the configuration screen once again while the first instance is running. • Prior to running multiple instances, be sure to configure each instance of the importer tool to import a difficult range of 3CX extensions. 8. 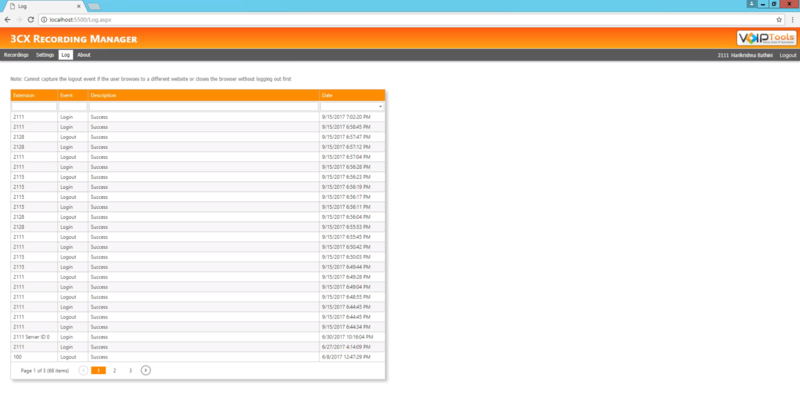 Once the processing has been completed successfully, confirmation message box appears for each import process. Click OK.
a. If the Recording Manager application is installed on the 3CX server, then click Get Settings to store the recording files on the 3CX Server. On clicking Get Settings button, the Recording Path displays default recording path on the 3CX server. However, you can edit the default path by clicking the More button. b. If the Recording Manager application is installed on a server other than 3CX Server, then click More button to browse for the shared folder where you want to store the recording files. a. From the Download rights dropdown, select desired option to control who can download recordings in the web portal. b. From the Email rights dropdown, select desired option to control who can email the recorded audio files in the web portal. 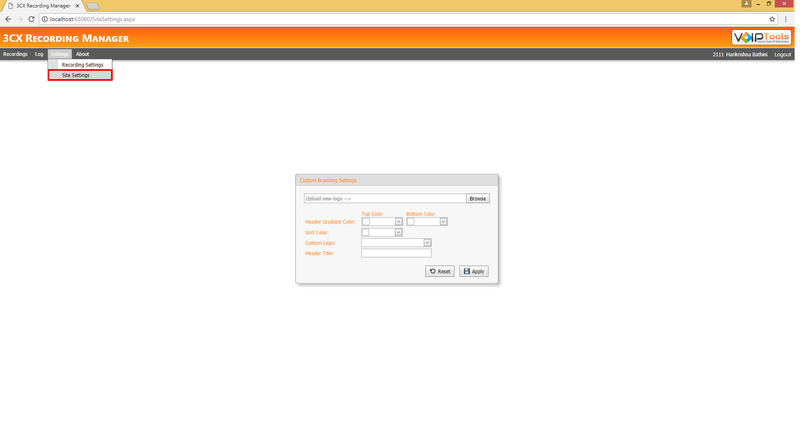 c.	From the Delete rights dropdown, select desired option to control who can delete recordings in the web portal. d.	Check Record Only Inbound External Calls check box to instruct 3CX Recording Manager to record only inbound external calls. 3. Click Save to save the changes that you have just made to the 3CX tab. 1. In the Email tab, check Email Recordings checkbox if you want to email call recordings. 2. Enter appropriate details in all the fields. Retention policy allows you to control the storage of call recordings. ii. Check Delete recordings older than checkbox and set the schedule with appropriate time in Days and Delete at fields. By doing so, once the recordings reach the set schedule, the Recording Manager deletes them from the Recording Path and saves them to the Archive Path. •	If the Archive Policy is not enabled, then the Recording Manager saves the records that reached the Delete recordings older than time, to the ‘Default Archive Path’. •	If the Archive Policy is enabled, then Recording Manager saves the records that reached the Delete recordings older than time to the Archive Path that you set in Archive Policy. i. Under Archive Policy, check Archive checkbox if you want to archive the recordings to another location. ii. Set Archive Path to the location where you want the call recordings to be archived. Enter Domain Name, User Name and Password if the Recording Manager and PBX are on different servers, so that the web server (IIS) can access the recordings and update the database. 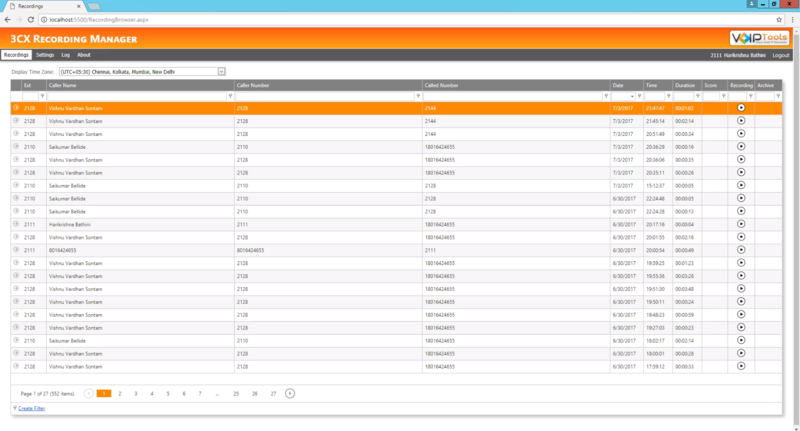 The 3CX Recording Manager Web Portal enables you to easily find recordings using the built-in query manager. From the portal, you can listen to, download, email and delete recordings. To access the ‘3CX Recording Manager Standard’ web portal, click the Web Portal button on the configuration program (Portal tab on the configuration screen), or click on the desktop icon that was created during the installation process (‘3CX Recording Manager’ Web). 1. 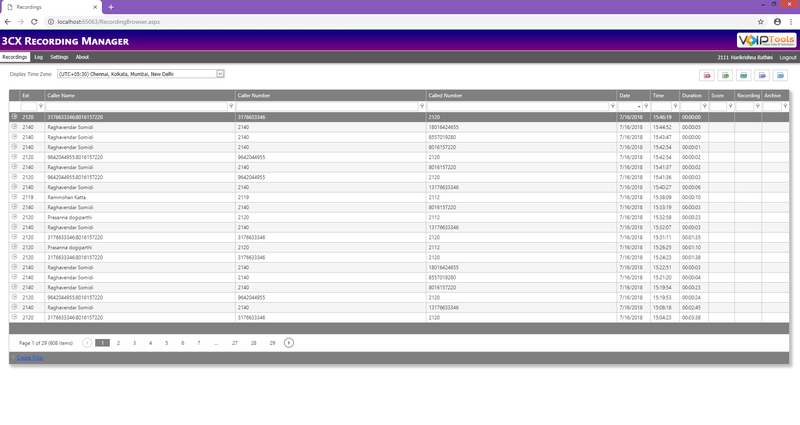 View the recorded calls (incoming or outgoing) of those extensions that were either recorded manually, or were set (in the ‘Settings’ screen) to record automatically. 3. Add new or update existing score for a specific recorded call. 4. Add new or update existing notes for a specific recorded call. 5. Play the specific recorded audio file. 6. Email specific recorded audio file to the desired email address. 7. Download specific recorded audio file to the desired location on your local computer. The date and time of the recordings will be according to the Date Time Zone set in the Recordings screen. The extension number of the device that initiated the call. The name of the caller of the extension that initiated the call. The number of the extension/ phone number of the caller that initiated the call. The extension/ phone number of the device that received the call from the ‘Caller’. The ‘Date’ (according to the ‘Display Time Zone’) at which the caller initiated the call. The ‘Time’ (according to the ‘Display Time Zone’) at which the caller initiated the call. The duration of the call that is recorded. It is the ‘Score’ for the recorded call. It is generally between 1 and 10 and the system displays the result in a graphical bar. The audio file of the recorded call. 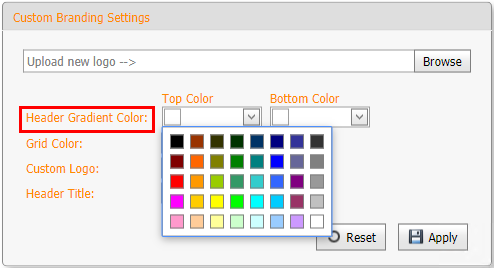 If the ‘Recording Manager’ is configured to archive the recorded audio files, then the archived audio file will be displayed in the Web Portal in ‘Recordings’ screen. 1. In the Web Portal, click Recordings tab. 2. From the Display Time Zone drop down, select the time zone in which you want the ‘Recordings’ screen to display ‘Date’ and ‘Time’. 1. In the Recordings screen, click the beside the extension for which you want to add new or update existing score. 2. In the Score box, click up or down arrow to increase or decrease the score accordingly. The Score range is between 1 and 10. 1. In the Recordings screen, click Expand button beside the extension for which you want to add new notes. 2. In the Note text box, click Add button to display the text box to add the notes. 3. In the text box, type the text for the recorded call. 4. Click Save to save or Cancel to cancel the notes. 1. In the Recordings screen, click Expand button beside the extension for which you want to update the existing notes. 2. In the Notes grid, click Edit button beside the notes that you want to update. 3. 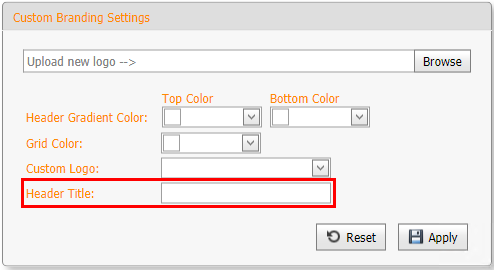 Edit the notes in the text box and click Save to save or Cancel to cancel the changes. 1. In the Recordings screen, and in the Recording column, click the audio file of the recording that you want to want to listen/ email or download. i.	Click Play button to play the audio file of the recorded call. iii. Click Download or Download Recording button to download the recorded audio file and save it to your local computer. 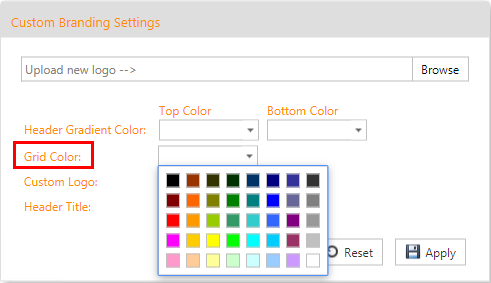 The Settings screen enables you to select the extensions for which you want to automate call recording for both incoming and outgoing calls, and customize brand settings. Only the user with ‘Manager’ role will be able to view and access the ‘Settings’ tab. 1. Hover over the mouse on Settings tab and from the drop down menu, select Recording Settings. 2. Check the check box beside all the extensions for which you want to automate call recording for both incoming and outgoing calls. 3. Click Update to save the extensions. 4. Success message box appears. Click OK.
Log screen enables you to view the login and logout events of all the sessions along with ‘Date’ and ‘Time’ that is according to the time zone set in ‘Recordings’ screen. The Recording Manager Standard will not capture the logout event if the user browses to a different website or closes the browser without logging out first.